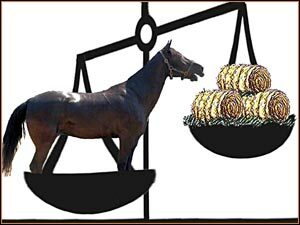 How do you keep Tennessee Walking Horse weight balanced? Riding a Tennessee Walking Horse is an experience like no other, but keeping this breed’s weight in balance can be a challenge! Horse lovers, can you share advice on how to balance this horse breeds weight? Stephen, a veteran of our armed forces, sustained injuries that often keep him in a wheel chair. His life has been full of horses, and he shares his wonderful story at the bottom of the Tennessee Walking Horse page. However, he needs your advice on his battle to keep his Walker’s weight balanced, so I’m taking the liberty to share his story with you here! Stephen’s animal story: Walkers and Quarter Horses! “I grew up riding Walkers, and loved them, and the smoothness of their gaits. My wife & I own mostly Quarters, from champion cutting and reining lineages, but we have one full Walker, and one that we were given that were told was a Walker/Arabian mix, though we have since realized that she is most likely all Arabian. “Anyway, we have never had any issues keeping weight on our horses, except during the winter they might lose a little. We do not have much for pastures, so we keep a couple round bales of mix grass, and grain. “But, our Walker is a constant battle with up & down weight. A friend, who has Walkers, said to add alfalfa pellets to our graining, and it has helped, but the issue is still there. “He is only maybe 7-9 yrs old, & thinks he is my baby. Of course, so does ‘my’ 2 Quarters, and I think they are all my babies. But, even if the others are out running around the pasture, or following my wife through it, my walker stays with me, especially on the days when I am stuck in my wheel chair, which seems to be more & more. I am just not sure what to do about getting his weight maintained. For those that have Walkers, can you please help? I have contacted both the breeders Assoc., & the Natural Walkers Assoc., and have not had any help, yet. Because of my spinal cord & brain injuries from the Army, these horses are some of my best friends, especially the Walker. What a great story about his Walker, Quarter horses… and himself! Love all the great information too. When I was a teenager I got the awesome experience of caring for and riding this breed of very cool horse for a summer. However, those few short months did not present any weight problems for us, but Stephen is faced with this challenge. If you have advice that may help Stephen with keeping his horse’s weight in balance, please add your reply to his story. An easy way to do this is to join the conversation: Tennessee Walking Horse, and your comment will also be at the bottom of the Tennessee Walking Horse page! You can also share your stories about this horse or any other animal, simply sign up on Pet Talk, our Facebook app, to join in conversations!